FORTI and SERTI are the innovative new convolution libraries with tools that can be used in any genre, at any stage of production, to make your mix sound better. A radically new approach to recording and creating reverb impulses that advances the level of reverb technology and reverb sound quality beyond any other current analog or digital implementation available. These impulses - Hollywood Impulse Responses, Pure Space Classical, and Pure Space Film - accurately recreate the key components of world class concert halls, film sound stages, cathedrals, monasteries and other exceptional spaces including the ambience inside the Great Pyramid Kufu at Giza! Numerical Sound Bass Tilt Filters (BTF) contains 36 convolution filters at each Reason sample rate to brighten or darken your sounds in the most transparent way possible. Numerical Sound Tone Mutation: Vocals (TMV) contains 36 human vowels andanimal resonances designed to greatly expand the range of your synthesizerand audio tracks by transforming them into vocal sounds. Numerical Sound releases the ReBass Narrow Rack Extension to unleash the bass in your tracks and recordings. Numerical Sound ReStereo instantly gives your mono tracks the highest-end stereo sound that only elite recording engineers could achieve - until now. Numerical Sound Tone Mutation: Instruments that change the timbre of any sound in your mix with 36 different color options in just a few clicks- the first Rack Extension of its kind. Numerical Sound RiVerb: Up-Front Spaces brings world-class reverb to Rack Extension prices. LA Scoring String (LASS) libraries. This new technology creates higher precision using the power of impulse filters (as opposed to Equalizer and Parametric EQs) to shape subtle nuance of string tone. Advanced True High Definition Reverberation (Mac & PC) for producers, composers and musicians that for the first time is designed specifically for individual musical instruments and can even change the overall timbre of a track. 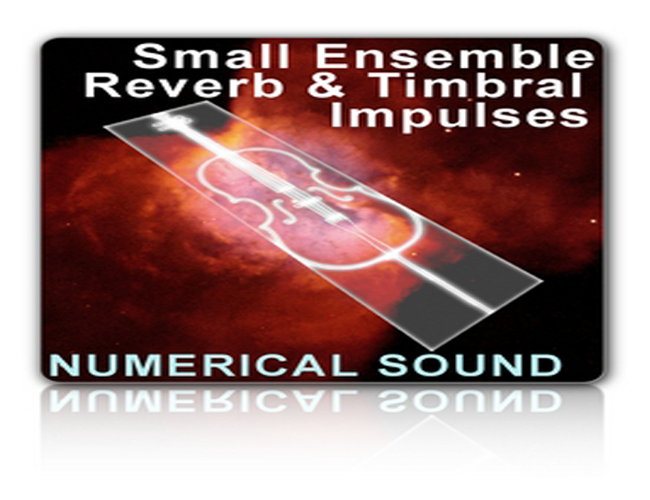 Ernest Cholakis of Numerical Sound is proud to release a Pure Space - Classical and Mystical Reverberation Impulses, a collection of reverb impulses designed to offer high realism to the art of implementing authentic sounding reverberation to any audio material. Ernest Cholakis of Numerical Sound is proud to release a Pure Space - Film and Sacred Places , a collection of reverb impulses designed to offer high realism to the art of implementing authentic sounding reverberation to any audio material. There products cover a variety of styles from drum loops in the R&B, Funk, New Orleans Funk, Jazz, Reggae and Hip Hop, Latin percussion and Electro-Acoustic percussion. These products are for the discerning ears - the users who care about sound quality. There are available in many different formats such as audio, PC Wav, Mac Aiff, Giga & Akai formats. DNA Groove Templates are an indispensable tool for adding feel or making your midi sequences groove. There are based on real world human performance and add another dimension to any sequence. Available in CD Rom format for the Mac or PC. The R&B, Jazz and Pop/Rock Collections Groove Templates are also included in midi file format - so they will work with any midi sequencer. The Midi files are very high quality that are extracted from the original acoustic performance mapped in the GS format . The drummers did not use triggers but played real drums - which give you access to a more realistic feel . These MIDI files are in GS Standard drum mapping format. Samplist Dan Dean from Dan Dean Productions and audio architect Ernest Cholakis from Numerical Sound have joined forces in creating the new "Blüthner Digital Model One" Grand Piano, announcing its release in Native Instruments Kontakt 2 Player format today. Priced at $299 (US) for the single DVD, this groundbreaking piano is packed full of new technologies and features never before found in the world of sampling. With the exception of DNA Groove Templates, no Numerical Sound product can be used in any music/production before it is registered and the signed license agreement is returned. To register your product, fill out the online form, then print the license agreement and FAX the signed agreement to 416-444-7045.